Donated in 1994 by Helen O. Dickens (accession number 1994: 62), with an incremental addition in 2002 (accession number 2002:7). This collection contains Eleven series: Biographical, 1977-1981; Correspondence, 1968-1992; Medical, 1948-1984; Minority Issues, 1972-1980; Organizations, 1934, 1953-1994; Recommendations, 1970-1991; Resumes, 1978-1990; Students/Colleagues/Friends, 1968-1989; University of Pennsylvania, 1945, 1962-1994; Women’s Issues, 1980; and Awards, Certificates, and Photographs, 1950-2001. All series are arranged alphabetically except for Correspondence, Recommendations, and Resumes, which are arranged both chronologically and alphabetically. Helen Octavia Dickens was born in Dayton, Ohio, to Charles and Daisy (Green) Dickens on February 21, 1909. After graduating from Roosevelt High School, she attended Crane Junior College in Chicago, Illinois. She was a 1934 graduate of the University of Illinois School of Medicine, the only African-American woman in her graduating class. She spent two years after graduation at Provident Hospital in Chicago, and then practiced with Dr. Virginia Alexander in a birthing-home practice in North Philadelphia. After seven years with Dr. Alexander, she sought further training in obstetrics and gynecology, spending a year at the University of Pennsylvania Graduate School of Medicine. Dickens passed the board examinations in 1945, becoming the first female African-American board-certified Ob/gyn in Philadelphia. That year, Dr. Dickens became Director of the Department of Obstetrics and Gynecology at Mercy Douglass Hospital in Philadelphia. In 1951, Dr. Dickens joined the courtesy staff of Women’s Hospital and would later be named chief of obstetrics and gynecology. When the University of Pennsylvania took over the Women’s Hospital in 1956, Dr. Dickens became a member of the staff and faculty in the Department of Obstetrics and Gynecology of the School of Medicine, becoming the first black woman to serve in this position. In addition to her medical practice, she was professor of obstetrics and gynecology. One of her special interests was aiding pregnant teenagers. In 1967, Dickens founded the Teen Clinic at the University of Pennsylvania for school-age mothers in the inner city. The clinic’s services included counseling and group therapy, educational classes, family planning assistance, and prenatal care. Another of Dickens’s interests was cancer education and services. She initiated a project that brought temporary cancer detection facilities into Philadelphia’s inner city. Dr. Dickens also implemented a project funded by the National Institute for Health that encouraged doctors to perform Pap smears to test for cervical cancer. 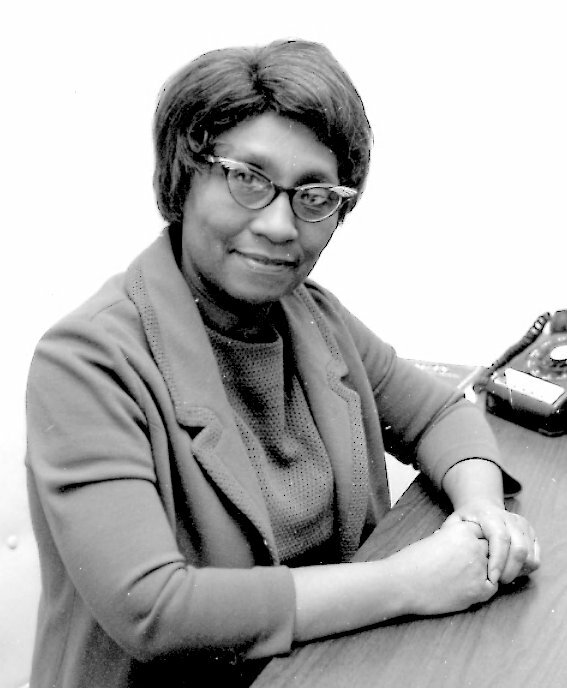 In addition to her work in medicine, Dr. Dickens was named associate dean of minority admissions at the University of Pennsylvania in 1969. She helped recruit and aid Blacks in the medical school. In her first five years, she increased the number of minority medical students from two or three to sixty-four. Dr. Helen O. Dickens married Dr. Purvis Henderson and had two children, Dr. Jayne Henderson Brown and Norman Henderson. The Helen O. Dickens Papers document the latter half of Dickens’ career in the field of medicine, medical education and public health. The collection contains correspondence, articles, reprints, grant proposals and some notes regarding Dickens’ work in teenage pregnancy during the 1960s and 1970s which can be found in the Medical and Correspondence series. It is Dickens’ administrative work and participation in professional organizations which figures most prominently in the collection. Her important role to enhance the participation of minorities in medical education, particularly the University of Pennsylvania, is well represented in the form of correspondence, minutes, and reports in the Minority Affairs subseries of the University of Pennsylvania series and National Association of Medical Minority Education subseries of the Organizations series. The Recommendations series complements the material that documents her support of minority students in medical education. In addition to her advocacy work for minorities, Dickens’ papers contain material which highlights her work with women’s groups such as the Pan American Medical Women’s Alliance and the American Medical Women’s Association. Also included are correspondence, minutes, reports, and newsletters of a number of professional organizations in which Dickens was an active member, such as the Marriage Council of Philadelphia, the Devereux Foundation, and the Association of American Medical Colleges. Photographs from throughout Dickens life along with plaques and certificates honoring her professional achievements can be found in the Awards, Certificates, and Photographs series. National Association of Medical Minority Educators, Inc..
Pan American Medical Women’s Association. University of Pennsylvania. Office of Minority Affairs. American Red Cross, West Philadelphia Branch, Charles Drew Community Service Award (metal plate), n.d.
Charles Drew Award Committee, Charles R. Drew Award (stature), n.d.
Chinese-style water-color scrolled painting presented by Cui Jiu, n.d.
Franklin Institute Board of Managers, award, n.d.
Nashville Area Chamber of Commerce, Red Carpet Club, membership certificate, n.d.